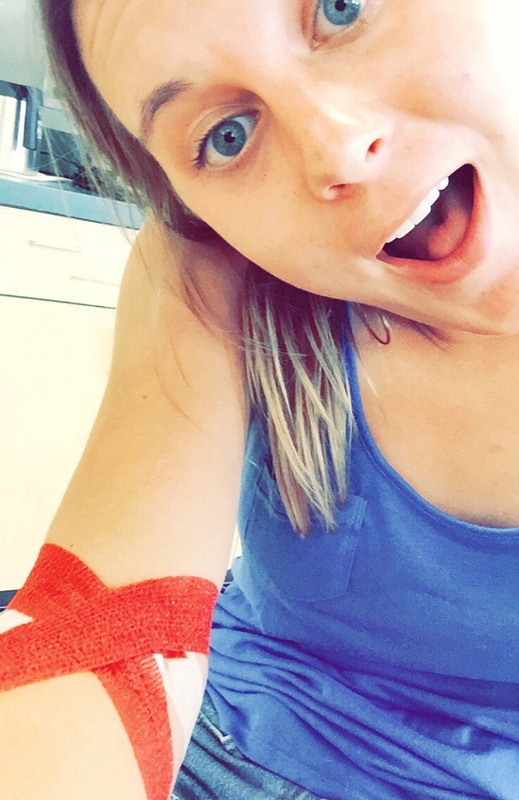 During this last week of National Blood Donor Month, we share this personal story from Michelle Rydberg at the American Red Cross St. Croix Valley Chapter based in Bayport, Minnesota. 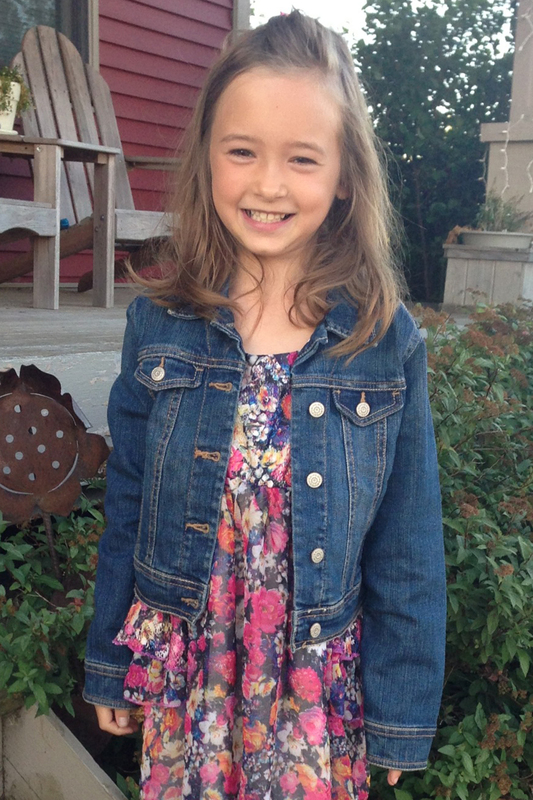 Thank you blood donors who helped save Madeline Rose’s life! 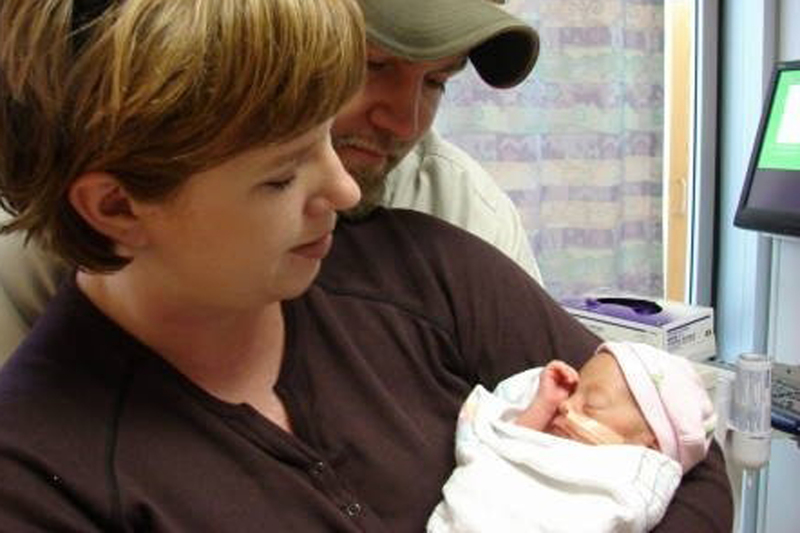 Michelle and Chris hold their baby girl two weeks after her premature birth, St. Paul, MN, 2006. August 2006 was the scariest time of my life. What was supposed to be a routine prenatal visit, ended days later with an emergency c-section when I was diagnosed with preeclampsia, a condition that’s defined as high blood pressure and excess protein in the urine. Left untreated, preeclampsia can lead to serious, even fatal, complications for both the mother and baby. The only cure for this is delivery at 29 weeks. My little girl was about to be born 11 weeks early and I knew that she wasn’t ready. They were able to keep me stable enough for two days so that I could get a steroid injection to help develop her lungs. I wasn’t allowed to have visitors, phone calls, watch TV or even have bright lights on for fear that I would have a stroke or seizure. I just listened to that little heartbeat. When it came time for delivery, I was terrified. I didn’t know what to expect. I was scheduled to take my first birthing class that night! They needed to do a c-section because the baby was breech and moving her for a natural delivery would cause too much stress on me and her. The procedure was fast and she was born without complications. They brought her to me for only a moment before taking her to the Neonatal Intensive Care Unit (NICU) at Children’s Hospital in St. Paul, Minnesota. Two pounds, ten ounces, fifteen inches long; my husband called her a “keeper walleye.” I couldn’t believe how small, yet how perfect she looked. Like a tiny rosebud. And so, her name came to be Madeline Rose. 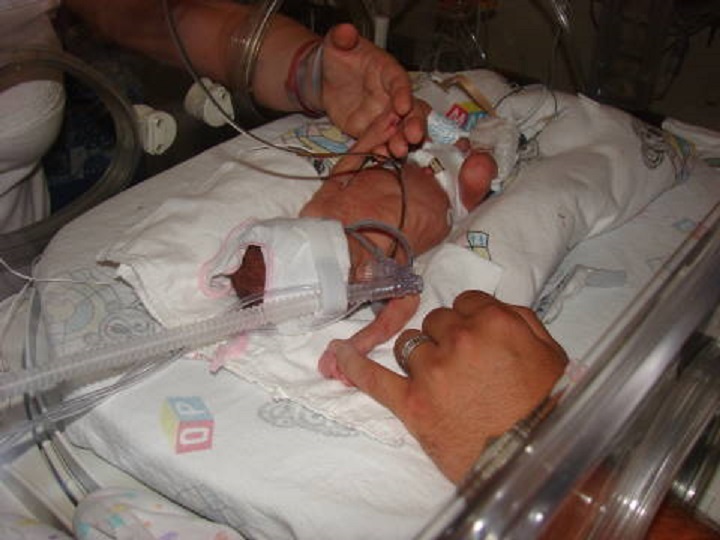 Madeline Rose, two days old, needed blood donations that would help save her life, St. Paul, MN, 2006. The excitement of becoming new parents was taken away from us as we had to see our little girl hooked up to machines, with wires monitoring everything. Her hands were so little that they fit through her dad’s wedding ring. Luckily the steroid shots worked, because her lungs were strong enough that she did not need a ventilator. Her hemoglobin, however, was low and she was very weak. She wasn’t interested in eating and was having several “episodes” where she would stop breathing. They recommended doing a blood transfusion. I work for the American Red Cross and have been telling people for years the importance of blood donation. It wasn’t until my own daughter needed one, that I realized just how important this truly is. She needed something to help her survive and it was not something that myself, my husband, the doctors could just fix with medication or a procedure. She needed blood. Blood from a complete stranger. Madeline was in the NICU for two months before we were able to bring her home. During that time she had two blood transfusions. Without them, I don’t know if she would have had the strength to survive. Madeline Rose, 7 years old, received blood transfusions that helped save her life after she was born prematurely in 2006. Madeline Rose beat the odds and graduated from the NICU follow-up clinic with flying colors. She has absolutely no developmental delays or complications from being a preemie. She is now a happy, healthy, smart, beautiful, feisty seven-year-old who excels in school and life. 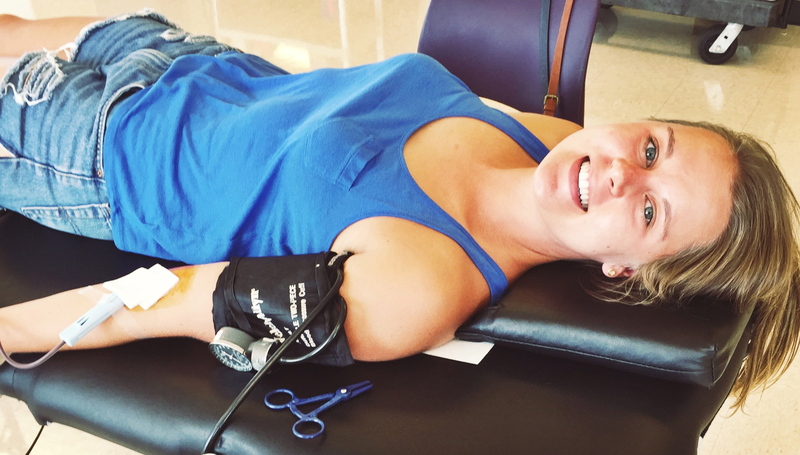 I recently gave blood and brought Madeline with me, not only because she was interested in the process, but because I wanted her to see the kindness in people, giving their own blood to save the lives of others. I asked her what she thought as we were leaving and she said, “that’s pretty cool.” Yes, it is pretty cool. I encourage anyone who is healthy, to donate blood. It’s only an hour of your time, but can mean a lifetime to someone who needs it. Click here to learn more about blood donation and to schedule a blood donation appointment. 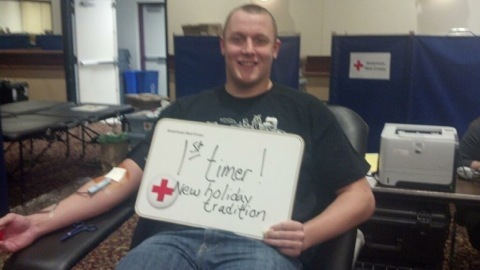 Drayton Carlberg, donating blood for the first time at the 12 Hours of Giving on December 23, 2013. As National Blood Donor Month, January is a great time to recognize our incredible donors and remind everyone that the need for blood is constant. Just a few weeks ago on December 23, 55 new blood donors, joined hundreds of veteran donors for the 12 Hours of Giving Holiday Blood Drive. First-time blood donors, Drayton Carlberg (right), Lia Capaldini (below), and Hunter Carlberg (bottom right) participated in this extraordinary event which collected 458 pints of blood – which was 92% of our goal! 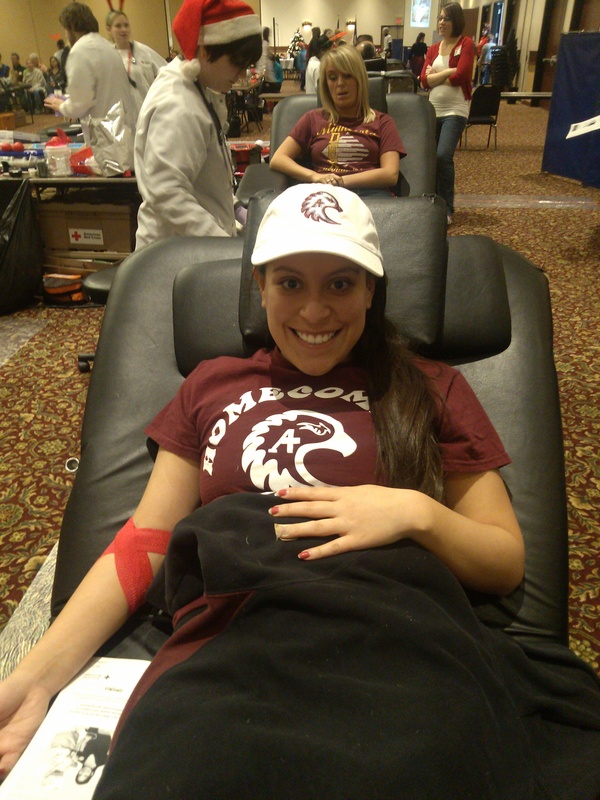 Lia Capaldini, Augsburg College senior, donating blood for the first time at the 12 Hours of Giving on Decbember 23, 2013. Weather and road conditions have improved, but recent severe winter weather has taken a toll on blood and platelet donations, both regionally and across the country. As of Thursday, Jan. 9, approximately 300 blood drives across 25 states were canceled across the U.S. due to the snow and extreme cold. The blood drive cancellations resulted in a shortfall of nearly 8,800 blood and platelet donations since Jan. 2. The Red Cross is seeing an urgent need for platelet donors, as well as blood donors with types O positive and negative, A negative and B negative blood. Eligible donors with these blood types are strongly encouraged to make an appointment to give in the coming days. 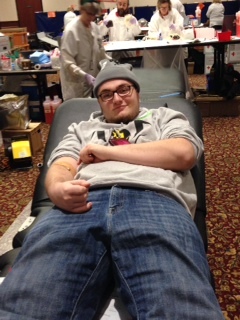 Hunter Carlberg, donating blood for the first time at the 12 Hours of Giving on December 23, 2013. So, in honor of National Blood Donor Month this January, please help us meet our blood donation goals. On average, the American Red Cross must collect about 15,000 pints of blood every day from volunteer blood and platelet donors to meet the needs of patients. Eligible donors in the North Central Blood Services Region can help boost donations immediately. Red Cross blood donation centers in the Region will temporarily offer extended hours to allow for more blood donation appointments. 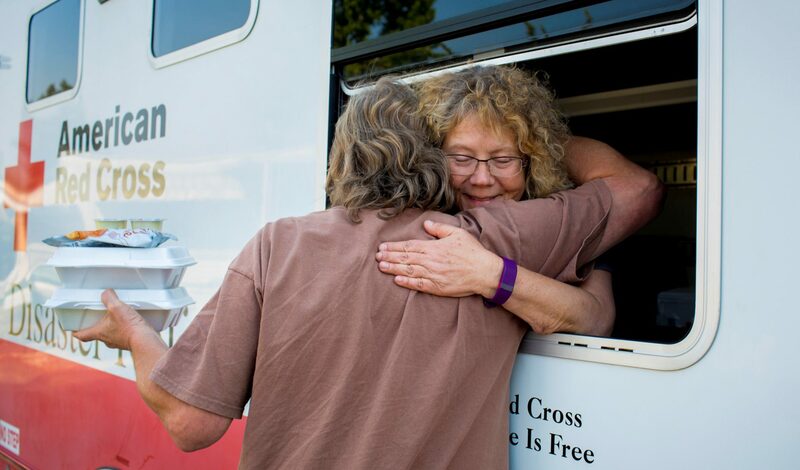 From Jan. 10 to Jan. 20, 2014 Red Cross blood donation centers will add one additional hour each day. Also, please join the Red Cross in thanking all blood donors for their help in ensuring a stable blood supply for patients all across the country. The Golden Gophers turned out in spades for the Ninth Annual American Red Cross Homecoming Blood Drive at the University of Minnesota. 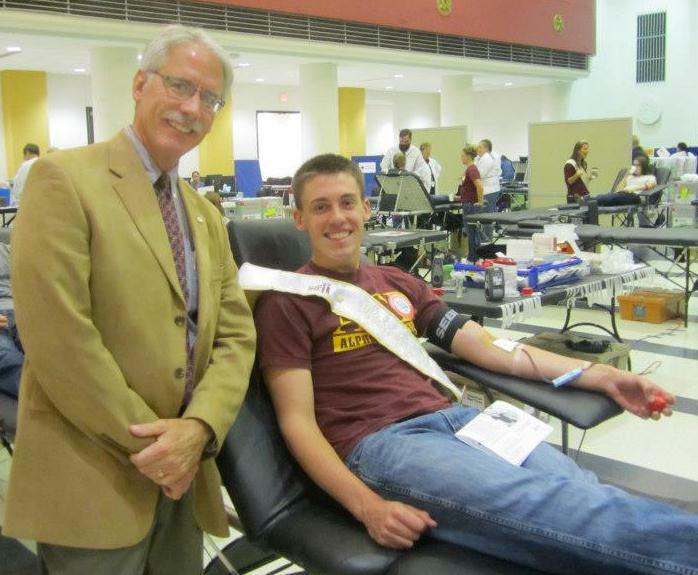 Everyone—students, professors, and alumni came together to save lives. 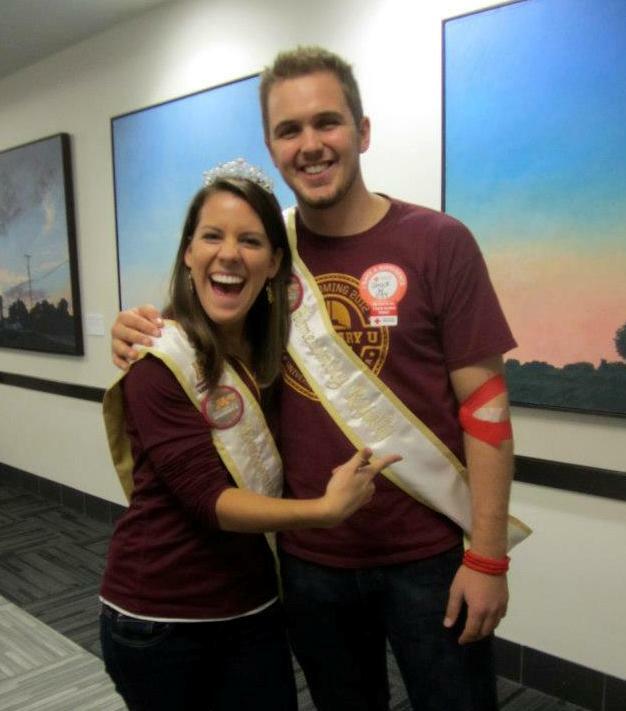 For Chuck Seymour, a senior and Homecoming King Candidate, it was his first time donating blood (GO CHUCK!). With a lot of reluctance and slight fear of donating and needles, Chuck met Geoff Kaufmann, CEO of the American Red Cross North Central Blood Services Region, who led him through the entire donation process (GO GEOFF!). 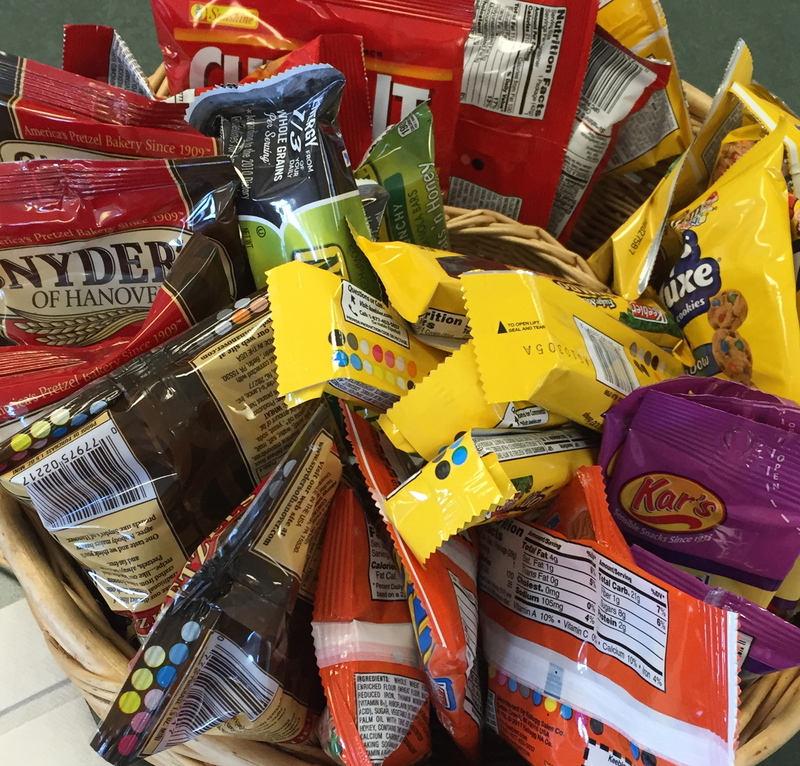 To help ease fears, friendly student volunteers (GO GOPHERS!) wearing maroon & gold Legendary U Homecoming t-shirts created an inviting room filled with snacks and festive music for the donors. 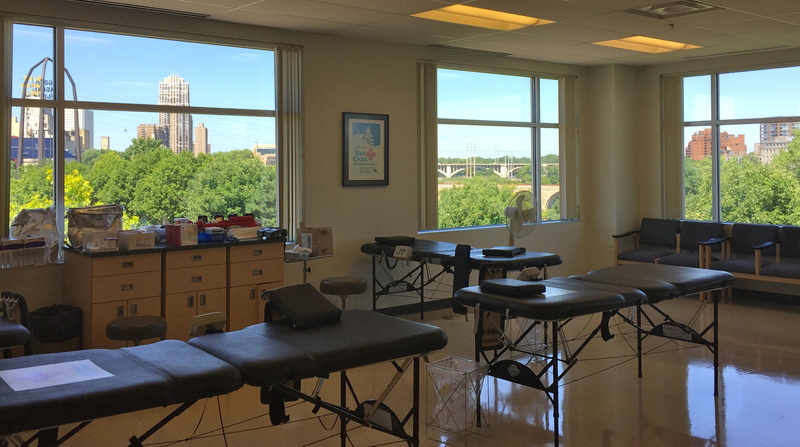 Gopher student volunteers helped care for people post donation by monitoring how they felt and offering juice, water and snacks. Their volunteer support showed that this generation of students is indeed Legendary. In all, approximately 125 volunteers and 220 potential donors participated, making this drive a major contributor and partner to this cause. This was done by including pre-registration for those on a tight schedule or quick registration for those who just happened to walk by and felt compelled to donate. Click here to find a blood drive in your area. M! I! N! N! E! S! O! T! A! MINNESOTA! MINNESOTA! YAAAAAY GOPHERS!